You don't need to spend long in Colombia to realise that there is a real love for cycling among the population, helped by the successes of riders such as Nairo Quintana and Rigoberto Uran. Medellin, the capital of the Antioquia region, is one of the great centres of cycling in Colombia and has produced many champions over the years (if you wanted to read a history of Colombian cycling then I can recommend Matt Rendell's Kings of the Mountains, albeit it stops in 2002 when it was published). I've written about how difficult it is to rent a road bike in Medellin but if you come with a bike already then there are plenty of places to get it repaired or serviced or to pick up any extra parts that you need. You will also find that it is relatively cheap to get your bike looked after by comparison with anywhere in Europe or north America. 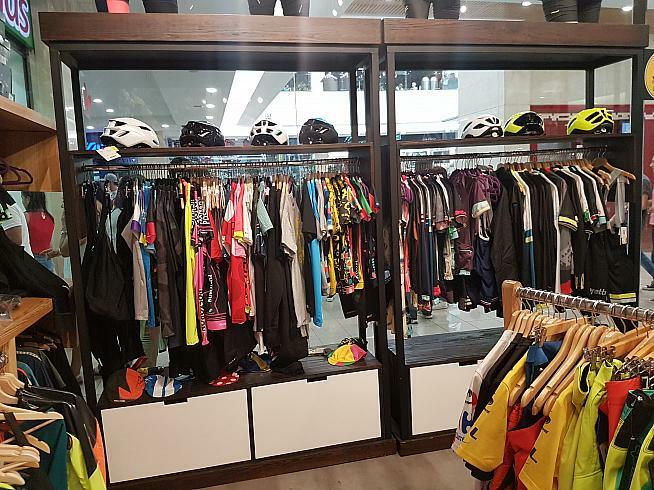 Although there are bike shops around the whole of Medellin, there is a massive cluster of shops around Carrera Carabobo, also known as Cra 52. 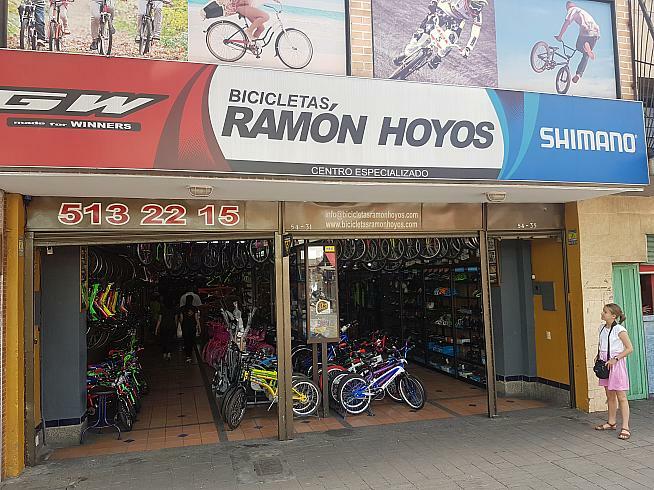 The most famous shop is Bicicletas Ramón Hoyos (address: Cra. 52 #5431) , which until he died in 2014 was run by Hoyos, widely regarded as Colombia's first cycling champion. He is so famous in Colombia that Gabriel Garcia Marquez wrote Hoyos' biography. Here, and in the surrounding shops, you will find a real depth of expertise about all aspects of bike engineering. For a European one of the most unusual things to find is that almost all the staff are female; in Colombia the real experts on gear ratios and derailleurs seem to be women, with the male members of staff dealing with the back office and repairs. You should be able to get anything you need in these shops or anything repaired that has broken. Do not expect anyone in these shops to speak a word of English. 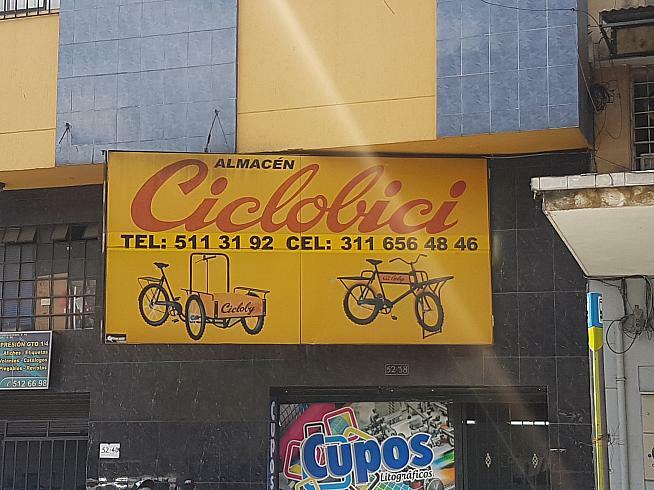 Don't be surprised by the fact these shops sell all sorts of bikes - cheap mountain bikes, children's bikes - and not just high end road bikes...this isn't Condor Cycles, it's an all purpose bike shop catering to anyone who cycles in Medellin. Once home to a deity of Colombian cycling...Ramon Hoyos. Even though Carrera Carabobo is just off the Botero Plaza (one of the main squares of Medellin), it was notable that the security levels in this part of town are not at the same levels as in the tourist areas of Poblado. In the space of about a 50 metres walk we saw three drugs deals going down and there was no police presence. If you do have a flashy bike then be slightly careful about your safety and don't leave it unattended for a second. Round the corner from Ramon Hoyos...vintage cycling style. 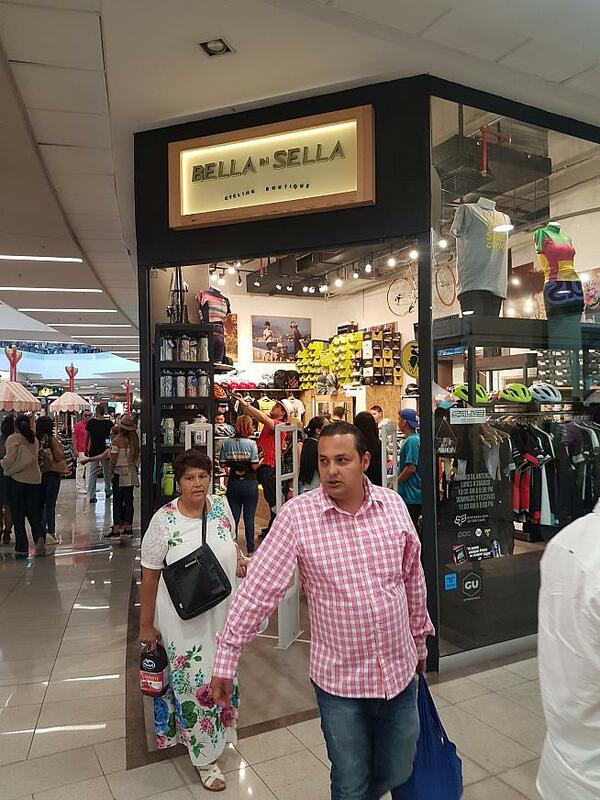 The best place for cycle clothing in Medellin is undoubtedly Bella in Sella, located in the Santa Fe shopping centre on the edge of Poblado. Set up in May 2017, it has a mixture of local and international brands. Local brands include the ever present Suarez - which is sold at roughly 50% of the price you would pay for it in any European shop - Safetti, Taba, Torralba and Go Rigo Go, the new brand of Colombia's newest cycling hero, Rigoberto Uran. International brands include MAAP Cycling, Black Sheep Cycling, Cafe du Cycliste and MET Helmets. Santiago Obando and Juan Ayala, the co-founders of Bella in Sella, are trying to push a new era of cycling apparel in Colombia and are bringing new brands into the shop on a regular basis. There is a good mixture of both men and women's jerseys and bib shorts, plus helmets, sunglasses and various cycling nutrition and hydration products. When I was there I met Santiago who was extremely helpful and one of the few people in the cycling industry in Colombia who speaks fluent English (he used to live in Miami). Bella in Sella stocks a wide range of domestic and international cycling jerseys. I also visited Bicicletas Giant, also in Poblado, which has a decent range of clothing, although not the depth of brands of Bella in Sella. They stock the Colombia national kits, which were good value at around $40 (£30) a jersey, and a wide range of Suarez jerseys and bib shorts. I personally find that Suarez doesn't fit me that well but perhaps I have an odd body shape compared to the average Colombian cyclist. Don't go too early in the day...they don't appear to open at 9am ever...and I think they are closed on Sundays, even though their website claims they are open. 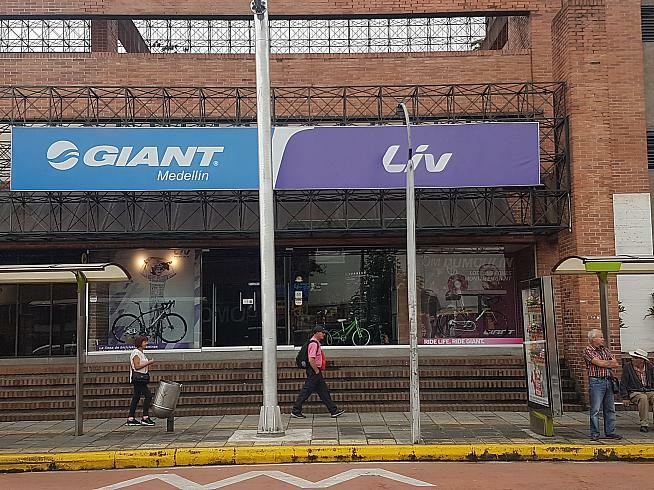 The Giant cycling shop in Medellin...great when it is open.